Scan the QR code to open our website on your mobile. Been looking for a company that can supply Riser Recliner Motor And Parts in the area? 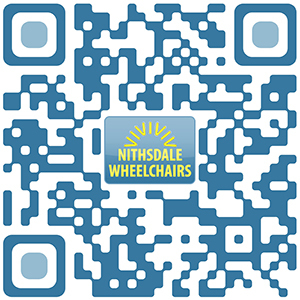 Nithsdale Wheelchairs stock a large selection of different mobility scooters, Riser Recliner Motor And Parts and light weight chairs. All of our products carry a 1 year manufacturers warranty and some are covered for 2 years. This can be extended for up to 5 years. Liability insurance is also available. 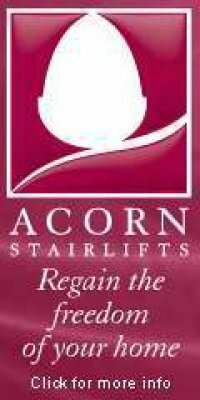 Our stock consists of: Lightweight chairs, scooters, foldable scooters and electric chairs, stair lifts Home care products, walking aids, waterproof clothing, ramps, reconditioned scooters and electric wheelchairs chairs, riser recliner chairs, Riser Recliner Motor And Parts, bathroom equipment & wheelchair power packs. We carry out on site service and repairs to all makes of mobility products and with an extensive mobility parts department will be able to get you back on the road quickly and safely. We are available to you all week so if your scooter or wheelchair breaks down on a Saturday / Sunday or even in the evening we will be available for advice and a prompt response. Our phone lines are never switched off. Your Riser Recliner Motor And Parts will be posted out first class and you can contact us if you cannot find the Riser Recliner Motor And Parts you are looking for. We personally cover the Dumfries & Galloway (Dumfries, Annan, , Moffat, Gretna, Dalbeattie, Castle Douglas, Kirkcudbright, Newton Stewart & Stranraer) Ayrshire( Cumnock, Kilmarnock, Ayr, Maybole, Girvan, Irvine, Ardrossan, Saltcoats, Largs, Greenock & Kilwinning Glasgow, Lanarkshire (Motherwell, Wishaw, Hamilton, Carluke, Biggar, Airdrie, Coatbridge & Bellshill) Argyle and Edinburgh areas. There is only one name you need to know when it comes to Riser Recliner Motor And Parts in the area, and that's Nithsdale Wheelchairs.